Dental problems are not always predictable. Whether your child suffered a mouth injury on the playground or you are missing work due to severe tooth pain, we can address your dental emergencies at ConfiDenT in Alpharetta. Our practice offers a full menu of services in modern dentistry, including general, cosmetic and restorative dental care for all ages. We offer a relaxing environment and knowledgeable dental team who can ease you through an urgent dental situation. While our priority is to relieve the pain of your dental emergency, we also value the importance of providing effective treatment options to restore the long-term health, function and appearance of your smile. Depending on the type of dental concern, we may suggest a tooth-colored filling, custom crown, root canal, implant or other procedure. We are a full-service dental practice that is equipped to handle all aspects of your smile in one convenient office location. Rest assured that we will keep you or your family member comfortable at every step. Our office environment is soothing, and we offer sedation dentistry to eliminate any discomfort from your procedure. Emergency dental care is an essential part of your overall oral health plan. We are committed to providing patients with access to the best possible services and amenities. You and your family deserve to know that when a dental emergency occurs, ConfiDenT is here to provide relief from pain and the same high standard of treatment you would receive during a scheduled appointment. For too long, there has existed an expectation that dental patients must wait for urgent care. Providing effective treatment means valuing the needs of patients. At ConfiDenT, urgent dentistry is considered an integral part of the total care package. Emergency dental care is important because chipped, cracked, broken or missing teeth can lead to more serious oral health problems. Patients who are required to wait for appointments at busy dental offices are less inclined to actively pursue the dental repairs that they need. Delay in care can result in damaged teeth suffering from decay or infection. For patients who prefer to visit the dentist only when absolutely necessary, what looks like a minor dental issue – but is actually an emergency – can wait until they next make an appointment. The team at ConfiDenT is responsible for the oral health of our patients, including promoting continuing care. If you are experiencing considerable pain, discomfort or damage to teeth and gums, we want to ensure that emergency dental care is available to provide relief. 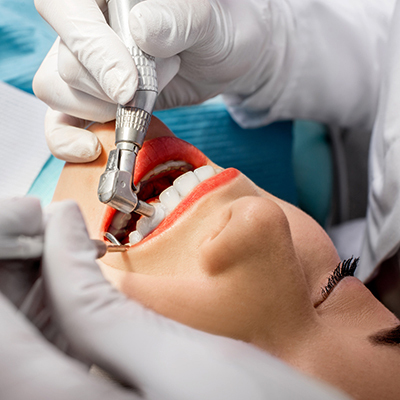 The restoration of smiles is also a key focus of an urgent appointment, giving you the confidence of knowing your dentist is available when most needed. At ConfiDenT the scheduling process is designed to accommodate the patient, not the practice. We are here to serve the families of Alpharetta and surrounding areas. Our team will make every effort to ensure that your regular schedule fits with your lifestyle. That includes providing urgent dental care on the same day whenever possible. Our scheduling system is set up in a way that allows your dentist to see you on short notice. Sometimes dental care just can’t wait, and it is our mission to promote that spirit in our patients. Your enthusiasm for excellence in oral healthcare is rewarded when you choose ConfiDenT as the primary provider for you and your family. If you are tired of juggling work with dentist appointments, look to ConfiDenT for scheduling that works for, rather than against, the patient. You will find that encouraging your family to maintain great smiles is a made easier with the warm, welcoming and relaxed experience at our offices. If you are experiencing unexpected dental pain or have suffered a mouth-related injury, please contact our office sooner rather than later. We will make every effort to see you promptly, so we can treat your dental emergency and help you avoid worsening pain. 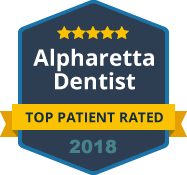 Our Alpharetta office offers urgent dental care for patients of all ages.